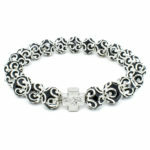 “Aurora” Our beautiful glass Orthodox bracelet. 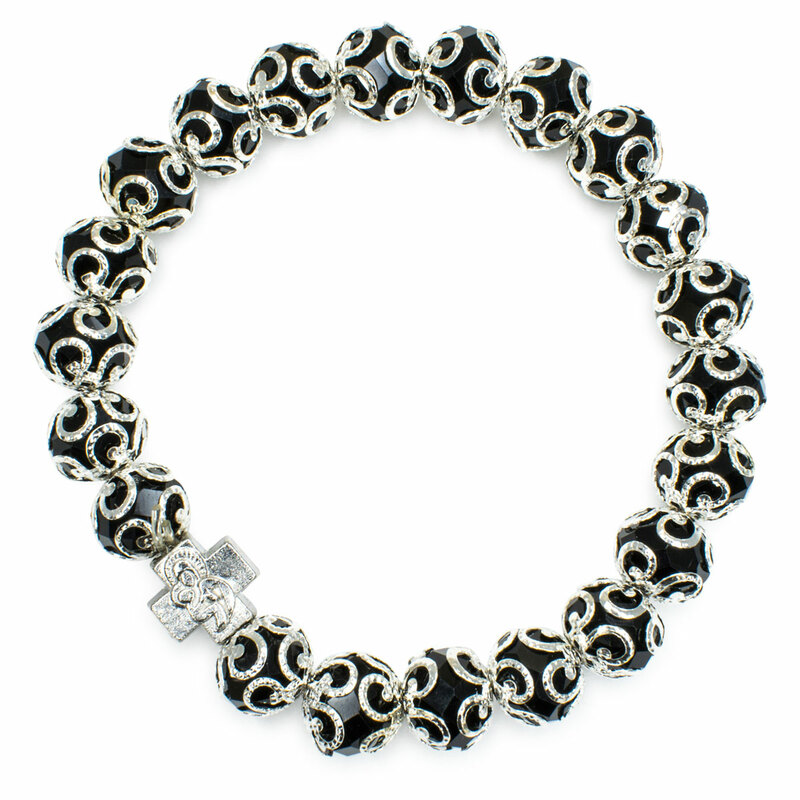 Consisting of elegant black glass faceted beads and metal decoration caps between the beads. 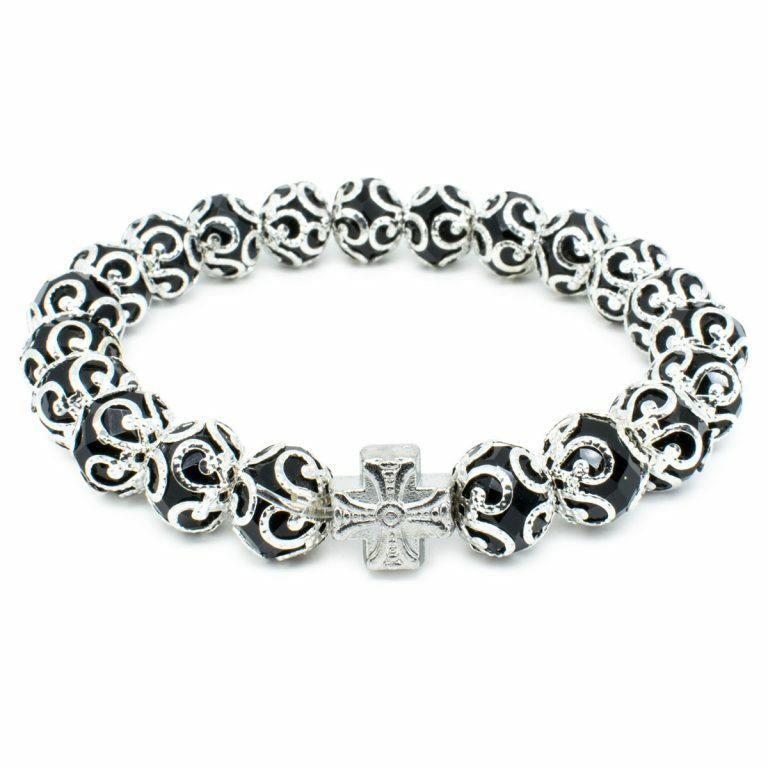 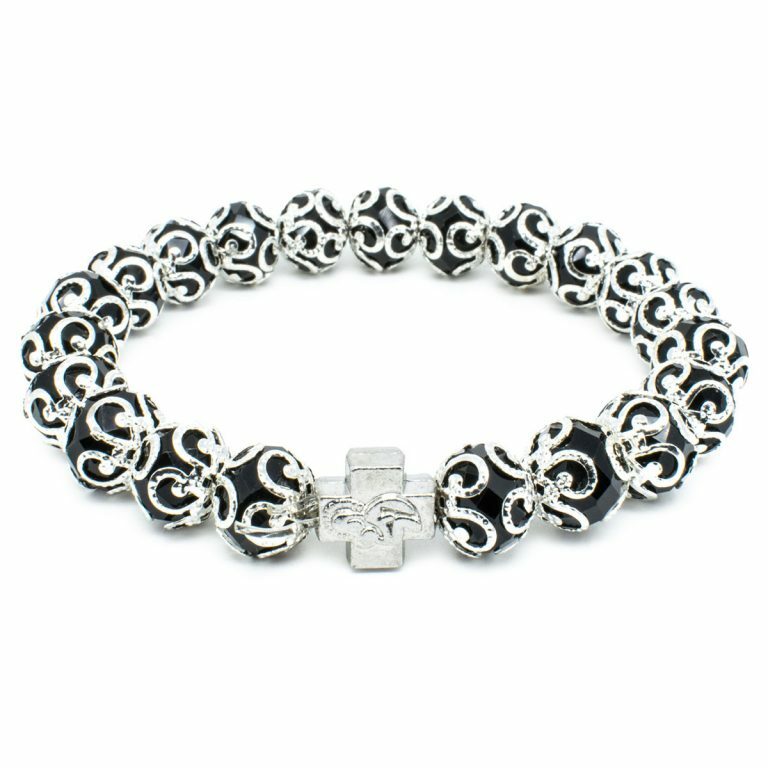 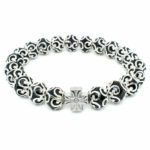 The metal cross bead has a depiction of the Virgin Mary. 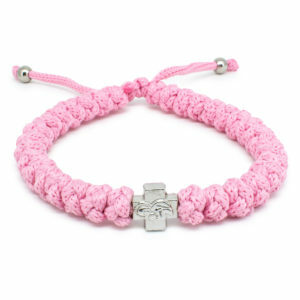 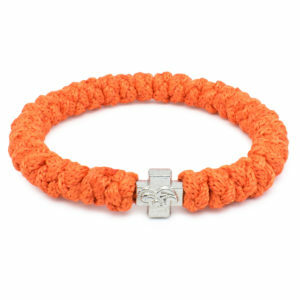 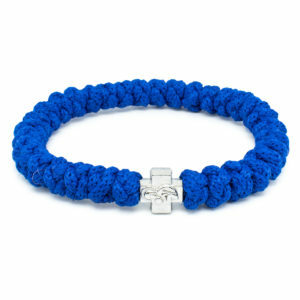 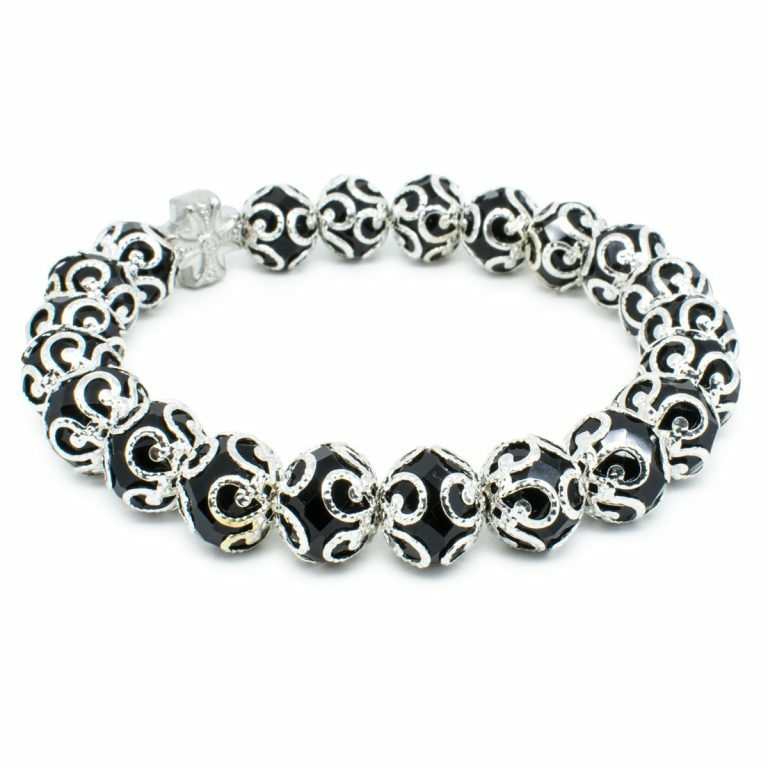 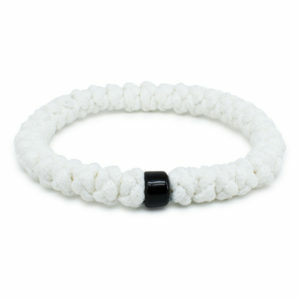 This bracelet is stretchable and fits over any wrist.